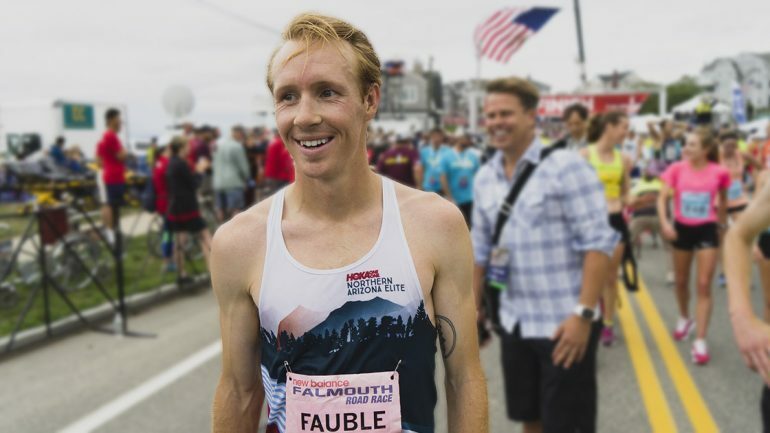 Carrie connects with elite runner Scott Fauble! They talk Scott’s recent hot streak, his training for the Boston Marathon, his new book titled “Inside A Marathon”, and how it feels to be the Burrito Cowboy. > Pro Accomplishments: 3rd place Great Edinburgh 2016, 4th place 2016 Olympic Trials 10k, 2017 World Cross Country Championships Competitor. 2017 Frankfurt Marathon 9th place 2:12:35, 2018 NYC 1/2 Marathon 5th place, 2018 NYC Marathon 7th place 2:12:28. PRs of 28:00-10k, 1:02:18- 1/2 Marathon, 2:12:28- Marathon.